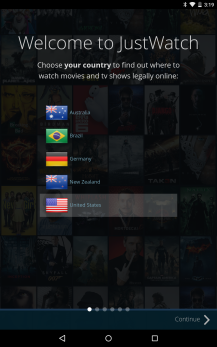 Don't think I'll find where a show is available online? Just watch me. There's an app or two for that, and now that JustWatch has brought its search engine to Android and iOS, there's another one. 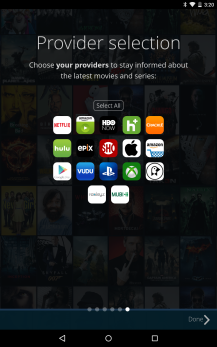 And it's capable of searching through Amazon Instant Video, Crackle, HBO Now, Hulu, iTunes, Netflix, Play Movies, PlayStation, Showtime, Vudu, Xbox, and a couple other online streaming services. 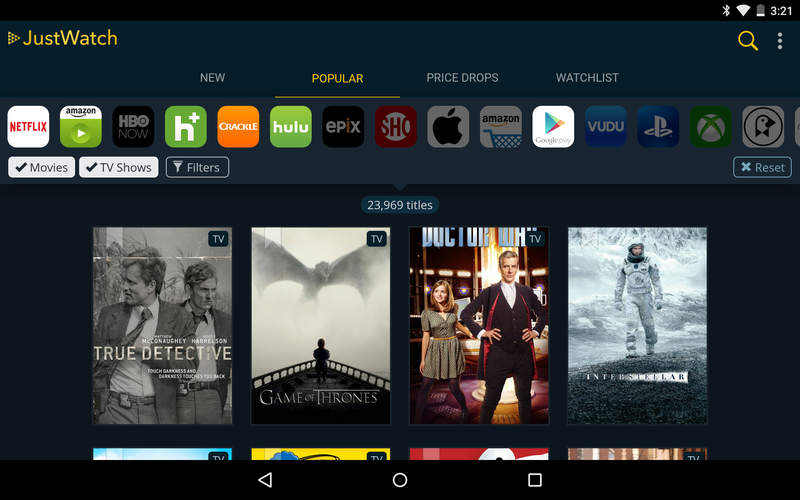 JustWatch's grid layout looks like those of the services it interacts with, and it feels like a natural companion, like the modern-day equivalent of a TV guide. 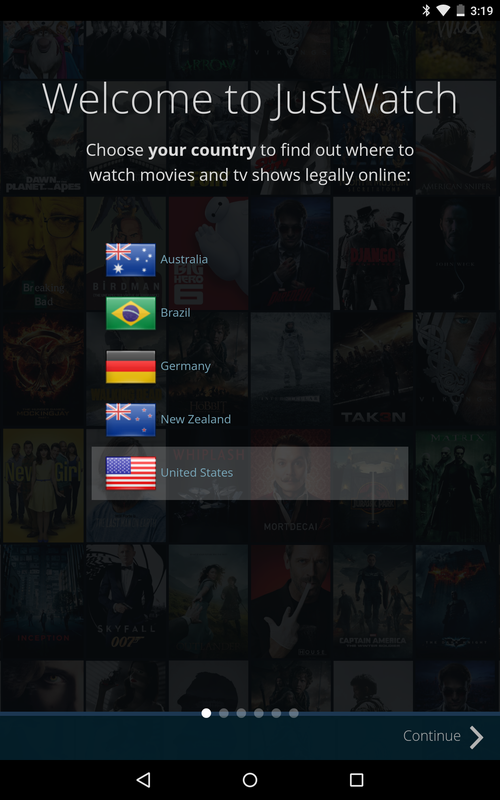 You can create a watchlist without having to create an account or provide any credentials. 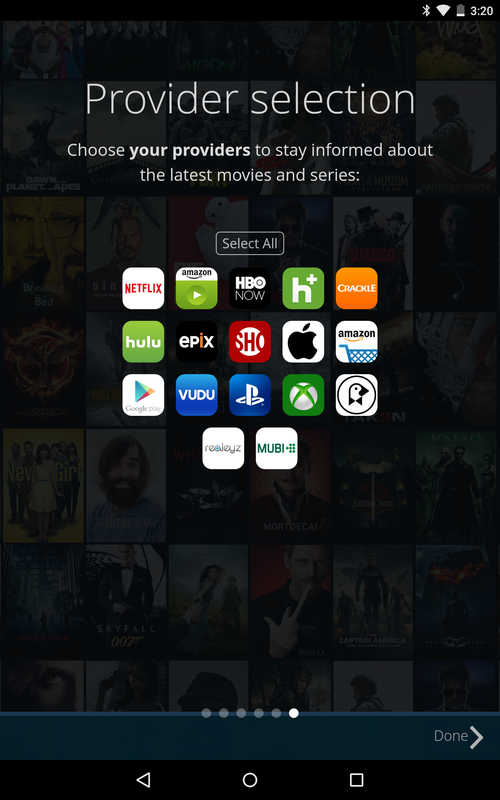 In addition to keeping you informed of what new content each network adds, JustWatch also informs you of any price drops or deals you might want to hop on. Some of our readers outside of the US will be happy to know that the app is also available in Australia, Brazil, Germany, and New Zealand. Unfortunately, this experience doesn't come without some hiccups. The app doesn't always get its answers right. It may fail to show that a show is available on Amazon Instant Video when you know for certain that it is. 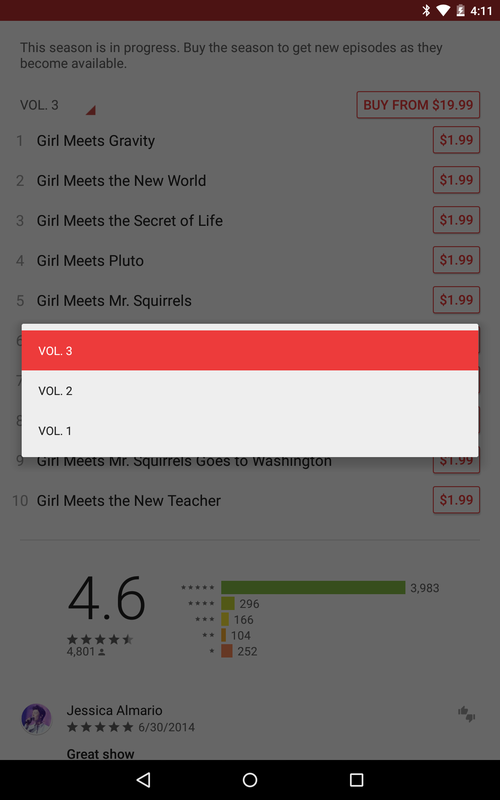 Alternatively, it may accurately show that something is on Play Movies but screw up which episodes Google offers. 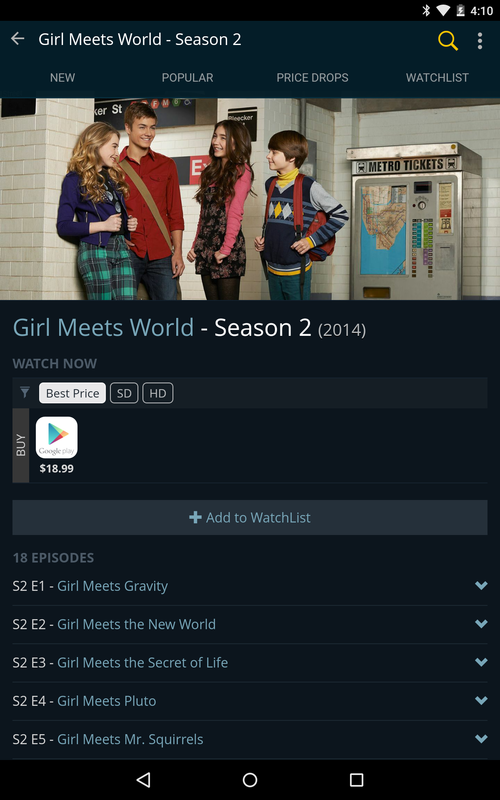 Note how JustWatch's price for the season doesn't match Google Play's. 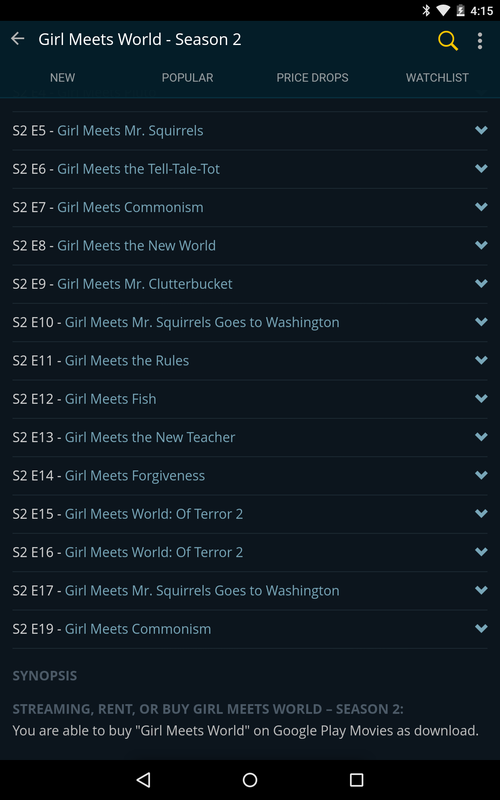 Also, JustWatch's episode list contains duplicates and doesn't quite match that of Play Movies or Wikipedia. 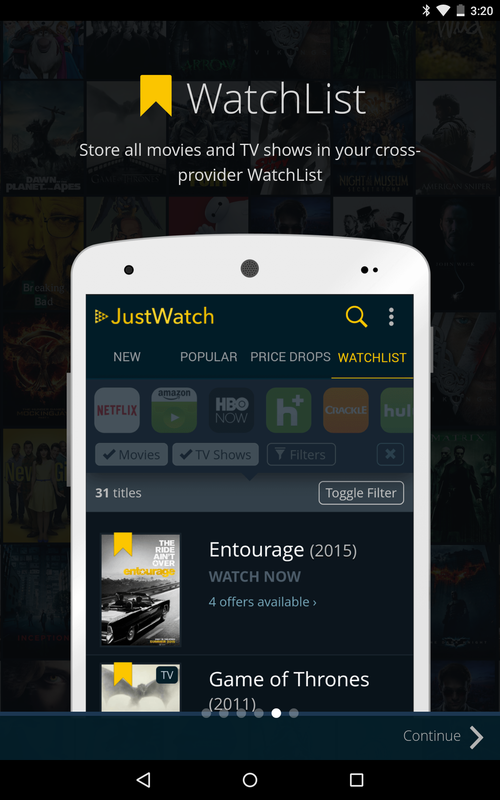 But JustWatch is a relatively new service, and the Android app is even newer. It will give you a general idea of what's where. Just watch out for the inconsistencies that show up along the way.